Business owners considering the sale of their privately held companies might want to bone up on their ABCs in advance of the potential economic downturn. While the M&A market is still active, businesses should get educated on all of their transition options in pursuit of the very best deal. They need to learn — and understand — four more letters: E-S-O-P. The acronym ESOP stands for employee stock ownership plan. The concept is relatively simple: a company can set up an ESOP and allow shareholders to sell stock to a trust in which the employees are participants. But the execution of ESOP transactions is relatively complex when compared to standard M&A deals. Regardless, if history is any guide, ESOPs are about to enjoy a moment. ESOP activity traditionally heats up when the M&A marketplace cools down as it allows for sellers to “create” an internal buyer of their stock. And colder times are beginning to appear in the forecast. In recent days, for example, Maryland legislators were told to expect a recession by the middle of next year. So here’s some of what business owners and their employees need to know about ESOPs. Business owners who select the ESOP route will find lots of company across the country. There were more than 6,600 ESOPs in the United States as of 2015, the last year for which data is available, according to the National Center for Employee Ownership. The nationwide list includes high-profile businesses such as Clif Bar and Publix Super Markets. Locally, we have some 130 ESOPs headquartered in Maryland, such as EA Engineering and our firm, SC&H Group, and many more that are based elsewhere but have significant operations here, including Jasper Engines & Transmissions, Torch Technologies, and the Wawa convenience store chain. From a cultural aspect, employees love the idea of owning a part of the company they work for. They know that they are not just punching a clock, but that everything they do matters to the success of the company from purchasing supplies to making decisions about how to market the product. Employee behaviors are clearly impacted as everyone becomes beneficiaries of the company’s success. This emotional connection translates from one ESOP company to the next. A 2017 study by the National Center for Employee Ownership reports that employees, especially millennials, who work for ESOP companies have 92 percent higher median household wealth, 33 percent higher income from wages and 53 percent longer median job tenure than peers at non-ESOP companies. The study also notes that ESOP companies “grow faster” and provide greater job stability than non-ESOP companies, and also transfer wealth to all employees, a move some argue can reduce inequality in the work force. In other words, the path to a successful ESOP transition is well worn. But this is a journey of many steps; owners and employees need a trusty map of sorts. Setting up an ESOP is somewhat complex but well worth it for certain business owners who wish to transition their ownership, but may not want to pursue a transaction with a 3rd party buyer. An ESOP yields benefits to both parties, buyers and sellers alike. Take the employees. An ESOP, like a 401(k), is an employee benefit program regulated by the federal government. But unlike many, if not most, 401(k) programs, an ESOP does not require contributions from employees. In fact, employees are not required to contribute a cent to realize the benefits from an ESOP, but rather earn share allocations and value via “sweat equity”. Sellers, on the other hand, get to “create” a buyer and generate liquidity in an ESOP transaction, as the companies often borrow money from a lender to finance a portion of the sale of stock to the ESOP. Additionally, some sellers want more than just money; they also desire to pass their beloved company on to the employees they care about to protect and promote them as well as the legacy they have created through their years of toil and leadership. And don’t overlook the possible positive tax implications. Some sellers can defer, or potentially even eliminate, the payment of capital gains taxes on the sale of stock to an ESOP, provided they meet eligibility requirements. There are also substantial post-transaction tax benefits for ESOP owned companies. While strategic buyers may be able to offer a higher headline valuation in certain circumstances, sellers often fare better on an after-tax basis in a properly structured ESOP transaction. After we explain ESOPs to business owners contemplating a sale, we often get the following question from them: Why doesn’t everybody do this? We have a number of answers for them. 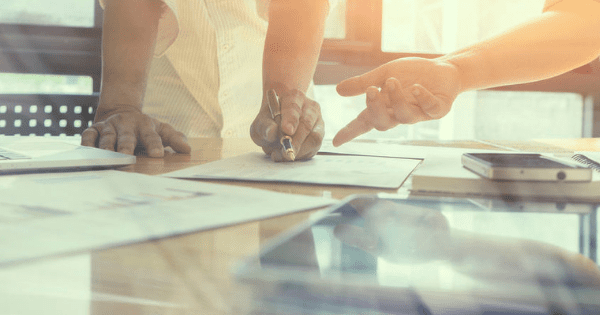 One: An ESOP transaction is a gradual transition strategy that generally is better suited for owners who are looking to transition out of the business gradually over time. Two: An ESOP is a nuanced transaction that requires coordination with multiple service providers and is not as intellectually straight forward as selling to a third-party buyer, collecting a check, and heading to the beach to live out retirement. And three: An ESOP doesn’t make sense for every company. ESOPs work for companies with steady earnings and cash flow, not fledgling firms still working to achieve stable financial footing or organizations in highly volatile industries like oil and gas. Remember, this deal adds debt to the balance sheet that must be serviced at a certain level and with the certainty of sunrise. ESOPs work best for meat-and-potato operating businesses such as manufacturers, distributors, government contractors, business services and professional service providers — the types of companies that generate relatively consistent earnings. There’s also the matter of size. No company can be too big for an ESOP to make sense. Too small is another story. For businesses with an enterprise value of less than $5 million and fewer than 30 employees, an ESOP may not be worth the effort and expense of setting up and administering. Before owners sell off their babies, they owe to themselves to understand ESOPs, both the benefits and limitations, to make a truly informed once-in-a-lifetime decision. Due to the nuances with selling an ESOP, it is extremely important to lean on qualified advisors throughout the process. For more information about ESOPs, or how SC&H Capital can support these and other transitions in ownership, please contact us or visit our site.